Steven Douglas Daniels was born August 9, 1942, in Seattle, WA. The middle child of seven siblings, he was the most stubborn of the Daniels children according to his mother, but his brothers knew he was the most protective. Following graduation from Queen Anne High School in 1960, he enlisted in the Marine Corps and was honored to serve his country for six years. He later studied engineering at the University of Washington and was especially proud to have worked on the Queen Mary conversion in Long Beach, CA. Steve married the love of his life, Carole Anne, in 1970. He moved to Alaska in 1972 with his then pregnant wife to work at Chandler Plumbing and Heating as a mechanical drafter. He became a member of the Mechanical Contractors Association of Fairbanks and quickly progressed to cost estimating and project management. He and Carole joined the North Star Volunteer Fire Department shortly after it was founded, he rose to the rank of captain and battled fires in the community for years. 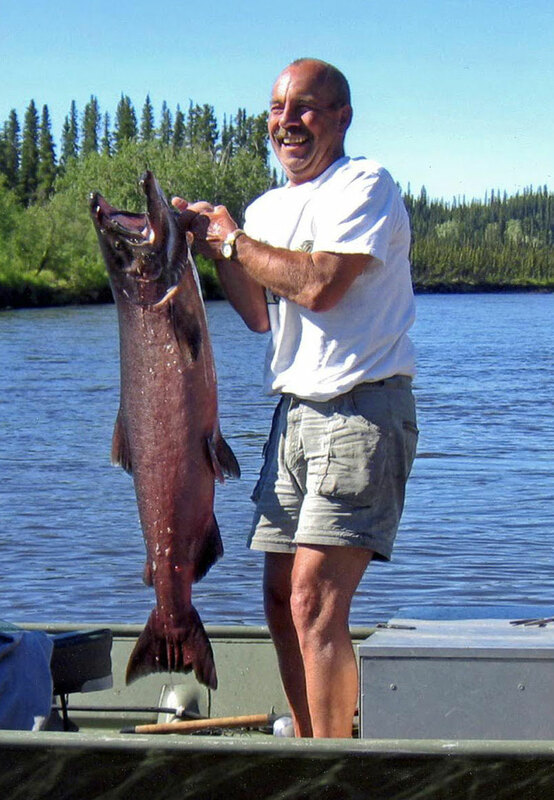 Alaska brought Steve many outdoor adventures — shame on anyone who scheduled events during salmon or moose season. He enjoyed sheep hunting in the Brooks Range and caribou/moose hunting at Summit Lake, salmon fishing on the Gulkana and more. He achieved Sourdough status by surviving a week-long bush plane delay in the Brooks Range and by repairing a “winged” plane with tree branches and duct tape on another trip. Their cabin at Summit Lake brought good times year-round and is a legacy for his family. He adored being on the water and would rather watch those on his boat land silvers and kings than catch them himself. Steve truly worked to live and through his example his children learned respect, adventure and appreciation of the outdoors. As a father of five he had never ending responsibilities, but instilled in his children manners and respect, work/life balance, and a fierce sense of loyalty to family. He was renowned for his no-nonsense table manners. Every weekend of summer the family spent time outdoors camping, and his favorite winter vacation destination was in Hawaii. As a grandfather (grumpa), the grand kids could always count on him to give them ice cream for breakfast. After retirement, Steve and Carole began to escape the cold winters to their home in Las Vegas where they quickly developed strong friendships. Steve’s love of pickleball brought him to the YMCA five mornings a week and he earned multiple gold medals at the senior games. Steve’s last adventure was to Seattle where he traveled to help his bride through her own health issues. His love for her gave him strength, and his wish to see her recover was fully realized. He passed away on April 4, 2019, not far from the place of his birth, surrounded by family. Steve will be forever missed. He was preceded in death by his parents, Joseph and Marjorie, and brothers Joe, Jim and Dan. He is survived by his sister and two brothers, Maureen Bebe Ford, John, and Phil; his wife Carole Anne; his children Stacy, Joe (Tammy), Kjersten (Scott) Kuhta, Jon, and William (Vicki); and 10 grandchildren.